Thomas: Hello and welcome to The Shrunken Head Review. This week the guys and I will be reviewing TRON: Legacy. After all the talk about a sequel and whether or not it could live up to the original, I'm excited to delve into it. So, guys what did you think of the film? Smith: Clearly superior to the original in every way humanely possible. Thomas: Ha, so you feel strongly about it do you? Smith: Seriously, I just want to watch it again. Do we have to do this review? We could go catch the next showing. Thomas: I appreciate your enthusiasm, but let's talk about the film. Just assuming that people have seen the original or at the least know the basic concept, this film picks up 20 years in the future. Jeff Bridges reprises his role as Kevin Flynn, a video game designer, who shortly after escaping was dumb enough to get trapped inside the game world again. This time his son (Garrett Hedlund) does his best to enter the game and rescue his father. It's a bit of a silly idea but so was the original. Did it work for you? The story I mean. Smith: Absolutely. It's a Disney film so the script was never going to be the sharpest. The plot is functional and the story works for what it is. Thomas: Really? I thought there was quite a few things that didn't work at all. Jeffrey: That's because they didn't. 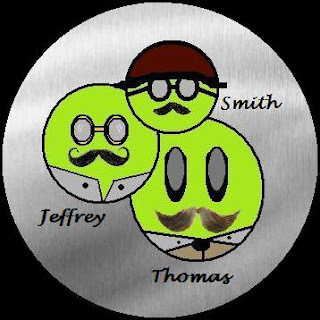 Smith: What a surprise, Jeffrey didn't enjoy a fun movie. Jeffrey: Oh, I enjoyed it. It was a great big laser light show. Thomas: But you were unhappy with the story? Jeffrey: The half of a script that showed up almost had me wishing they'd just done a remake. Thomas: Yeah, I thought that was a bit like a balloon slowly deflating. How about the relationship between father and son? Jeffrey: Credit the actors, they did the best they could with the material they had to work with. The two just didn't feel connected at all. Smith: Boo! You guys are kill joys. This was a great film. Possibly the best of the year. Thomas: I'm surprised to hear you say that. There have been other films this year we've discussed as being the best. By those other's standards this hardly seems up to snuff. Jeffrey: That's because it's not the movie itself that impressed Smith. Jeffrey: He was drooling every time Olivia Wilde was on screen. Thomas: To be fair, she was one of the best parts of the movie. Her character added a depth of charm that would otherwise been remiss. Jeffrey: I'm afraid our boy Smithy here fell for the old bait and switch. They put out an attractive bait and while he was focused on it, they presented him with a bad movie, which he has continued to not notice. Smith: Do you think I'd have a chance with her, should we ever meet? Jeffrey: Yes Smith, I'm sure she'd love to go out with a shrunken head. By the way, I'm being sarcastic. Smith: What do you know, dream killer? Thomas: Boys, let's not get volatile. How about the special effects? Jeffrey: That's what makes the movie entertaining. If you plan on watching it, this definitely isn't going to be one of those films you wait for video. In theater, 3D, light show. Jeffrey: Well, yes, he's always good. Smith: And Olivia Wilde. Do you think she opens her own mail? I've been writing to her. Thomas: Okay... it just reached creepy. I think I best rap it up. For my part I thought the film was a bit like swiss cheese. There's a lot of delightful parts, but there's also a lot of holes in it. The script isn't the sharpest or greatest, or even really good, but the acting and special effects make it a decent popcorn flick. I would have liked to see more games though, as when the action dies down in the movie, you're not really left with much meat to it. Add to that a bad third act and it's a pretty, but disappointing cycle down memory lane. Anything you guys wish to add? Jeffrey: Smithy, face reality, she's married, and even if she wasn't, she would never date a shrunken head. Olivia Wilde: There he is, in the hat! Smith, I've gotten all your letters. I want to take you away from this. Do you still feel the same way about me? Smith: Shut up baby, you know that I do. I had to google Olivia Wilde and then was kind of ashamed when I realized she looked familiar to me because she was on the OC. so nobody has really liked the movie so far. That is disappointing. I hope these three review suckerpunch when it comes out. But Olivia Wilde IS hot! haha, you're a funny, funny man. i'm unsure now whether i will be making a trip to the cinemas to see this one. I can't read this one yet - I may actually watch the movie. When I actually see flicks in the theatre I like as little exposure as possible because if I see too much about it I talk myself out of going. I'm an old man at heart. And at body. Unless I can see this one for free, no way! I'll have to watch it myself. Thanks for the viewpoints! Ok so here's my take – get smith and melvin to a post STAT!!!! Loved the first tron, but I was like 10 years old. I also liked the black hole and condor man.